Friedman Law Offices is conveniently located at 85 East Gay Street in the heart of downtown Columbus, Ohio. Attorney Benjamin Friedman focuses his practice on the areas of divorce, dissolution, child support, child custody, family law matters and bankruptcy. When you get served with divorce papers, or you are weighing the important considerations at the end of your marriage, you want a lawyer that will take the time to listen to you and understand your concerns. Attorney Benjamin Friedman will take the time to get to know you and truly understand your goals and concerns. Through negotiation or through litigation, Friedman Law Offices will work hard to help you achieve your goals. Friedman Law Offices accepts divorce and dissolution cases throughout Columbus, Ohio (Franklin County) and surrounding counties. Call today or click here to schedule a free consultation with a Columbus, Ohio divorce & dissolution lawyer. If you have called around to other local Columbus, Ohio divorce and dissolution lawyers you will find that prices vary significantly. At Friedman Law Offices, prices are never a mystery and you will NOT be quoted an hourly rate. All dissolution and uncontested divorce cases are handled on a FLAT FEE basis and all of the prices are published right here on the website. There is no fine print! Do you want to avoid going to court? For an extra $185 you can have your case referred to a private judge. A private judge will give you greater flexibility in scheduling your final hearing and the hearing will take place in the comfort and privacy of our office. If you will be dividing certain retirement assets you will need to prepare a Qualified Domestic Relations Order (QDRO) or a Division of Property Order (DOPO). In most cases these documents will be drafted by a company that specializes in this type of work and the prices range from $300 to $400. To learn more about our pricing please click here. At Friedman Law Offices every attempt is made to assist in negotiating a fair and amicable settlement. Unfortunately, for one reason or another, some cases cannot be settled amicably. If settlement is not possible, attorney Benjamin Friedman will fight for you to get you the best possible outcome. Contested divorce and child custody cases are handled on a FLAT FEE basis. Specific flat free rates for contested matters vary depending on the complexity of your legal matter. Call today or click here to schedule a free consultation with a Columbus, Ohio divorce & dissolution lawyer. Friedman Law Offices is proud to announce the opening of our Cleveland, Ohio branch office. Click here to view our uncontested divorce and dissolution prices for Cleveland, Ohio and surrounding counties. Friedman Law Offices offers Ohio Divorce and Dissolution Paperwork Packages which are drafted to meet the specific requirements of the Ohio Domestic Relations Courts. 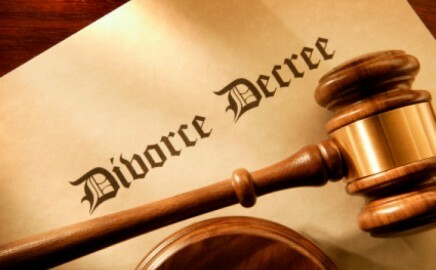 As a licensed Ohio lawyer who focuses on the issues of divorce, dissolution and family law, I personally prepare each and every divorce and dissolution document to ensure that it is compliant with Ohio law. All of my packages come with 2 hours of telephone consultation and support. There is no reason to buy a “do it yourself” Ohio divorce and dissolution kit. I provide an inexpensive and efficient way to resolve your Ohio divorce and dissolution issues without compromising quality. Check out our affordable prices for our divorce and dissolution kits! Friedman Law Offices offers representation in contested and uncontested stepparent adoption matters. Are you paying too much child support? Are you getting too little child support? Friedman Law Offices offers representation in child support modification cases. Call today to set up a free consultation to review your child support order or use our free Ohio child support calculator.